Due to scheduling conflicts, Barry Manilow's concert at the Milwaukee Theatre has been changed from Saturday, April 28th to Saturday, August 4th. If you've already purchased Barry Manilow tickets, your tickets will be honored for the new date. If you have not already purchased tickets, you still have time to get your Barry Manilow Milwaukee Theatre tickets. Manilow's tour is in promotion of his latest album, 15 Minutes--the first album of original songs that he's released in 10 years. It's nice to see a celebrated pop artist of Barry Manilow's stature continuing to release original albums. 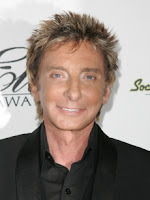 In addition to singing and performing, Barry Manilow also produces and arranges albums and writes music for musicals, commercials, and movies. He's produced albums for Dionne Warwick and Bette Midler and has been a staple for many years at the Las Vegas Hilton. It's a rare opportunity to see Barry Manilow perform in Milwaukee, so if you're a fan, you must go to the show!